Angular JS framework is the most chosen for creating interactive components of a website. It provides the design with full-features to enhance simplicity and efficiency. The Angular Js developers choose it as it is very effective notably in designing dynamic, single page apps and supporting MVC programming structure. The business environment is becoming highly competitive, Angular JS has emerged as the star hero because of its intuitiveness and rich features. If you are still not using Angular JS framework, then you are losing great profitable deals in the industry. Many developers are showing their satisfaction with the framework. Today, Angular Js framework is one of the best that does not make the MVC model look skewed and mutually along with NodeJS, it simply works great with both the technologies understanding the same systems. Some of the frameworks just bundle the current tools which make the app development a bit difficult. Nevertheless, Angular JS was carefully managed to assure that every tool works optimally and delivers the results. Why Angular JS is Popular? If you have not started using AngularJS, the chances are that you are missing a great profitable deal in the industry. Many developers are expressing their pleasure with the framework. Today, AngularJS is one of the frontend frameworks that do not make the Model View Controller look skewed and together along with NodeJS, it simply works great with both the technology understanding same notations. Some frameworks bundle together with the existing tools which make the development of the app very difficult. But Angular JS particularly engineered to ensure that every tool works optimally and delivers great results. Angular JS popularity has grown steadily and no sign of slowing down. Two-way data binding: Data binding is the one best feature to notable in Angular JS. It provides the developer with less code. In most of the apps, the maximum code is dedicated to manipulating, traversing and listening to DOM. However, data-binding in Angular JS will help to reduce the work so that the developer can focus on the app. Ready to use templates: Angular JS Framework is a simple plain HTML. The browser parses these templates into DOM and transfers it to Angular JS compiler. Then the Angular JS Framework traverses the template to get rendering instructions called directives. These templates make the easy even for noncoders with basic skills can come up with great apps.Dependency Injection: Using this the developer is able to go for dependency as opposed to make them on his own. Think of this feature as a way saying like I NEED Y and NOT STARTING TO MAKE Y. Testing Feature: Testing for Angular Js app will be very easy as the developers will be focused on the testability. When Angular JS was originated in 2009 bt Google, many developers had gone to use Jquery. But eventually, JQuery got tired and a new framework which could handle the emerging complexities came to necessary. Only the business can assure of faster progress, winning raving clients and growing development. Below are the reasons why the business needs Angular JS. When a framework is backed by a large open community, you can guarantee that every feature will be progressively improved for the enhanced performance and also assure of regular updates and support from the large open community. 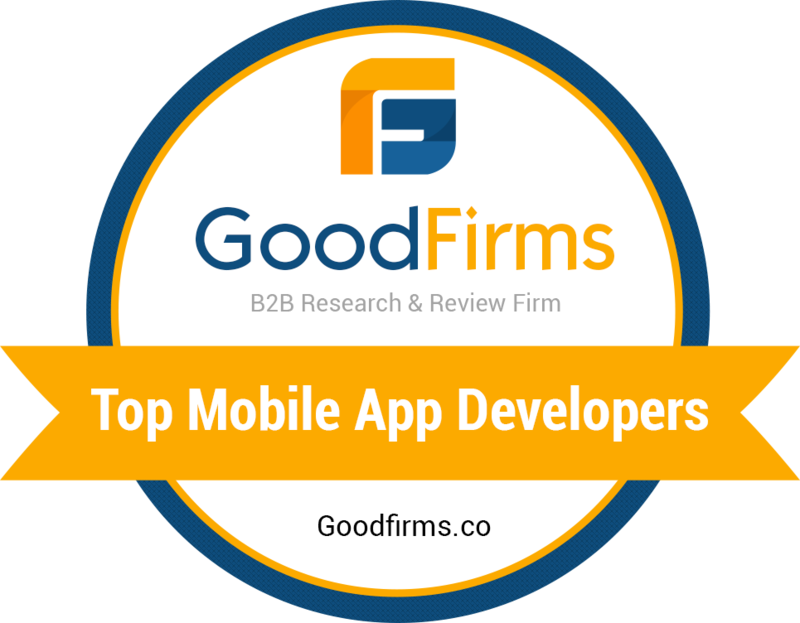 As a business, it is helpful to follow and use apps that are legally premised. Some of the frameworks whose licenses are shrouded, Angular JS uses the MIT license which is very permissive for all developers and businesses. Technology continues to advance and equally, consumers want to associate with sophisticated UX. Angular JS allows the businesses to make single-page apps for a great experience. It has the full-fledged library of optimized HMTL, CSS and JS as it is built in Angular JS and SASS. Any Angular JS App developed using Ionic can be uploaded to both app and play store. The component of this framework is magnified for the mobile experience which is focused on touch and gestures. It is very useful in developing a responsive app at a low cost. Lumx is based on Google material design. Developers will develop the app based on the Google guidelines. It is most suited for the web apps and also for customized apps. The files will get optimized and the app functionalities can be improved accordingly. Supersonic UI is the first HYBRID APP UI Framework. It is used to build data-driven hybrid mobile applications with real native performance and highly interactive interface. Multiple native APIs helps to integrate with backend data interaction. In order to develop an app with iOS and Android API then we need to use the supersonic framework. This framework is the best way to work on a grid or tables with Angular. Because of its rich features helps to display simple, complex and large data sets on grids. These uses of a plugins architecture of the angular framework that uses the features required by the project. There are a lot of customizable templates to choose from and the user can personalize them as according to their requirement. There are a lot of frameworks that can be done through this framework like sorting, filtering grouping virtualization and column pinning etc. Suave UI framework is good for web application development with Angular JS. In order to build a variety of web-based UIs’, Angular JS and Suave UI have CSS definitions, directives and services which are capable to handle the work. It has a large number of directives that are based on foundation markup and CSS elements. Its uses highly semantic HTML components. It consists of constitute technologies like MongoDB, ExpressJS, AngularJS and NodeJS that are a full stack. Using this you can build a powerful web application as it has pages dynamic functions. It is an HTML5 video for Angular JS. It doesn’t support for flash which makes the code easy for the maintenance. No need to maintain JSON object and config files because one can write their own plain CSS for creating themes. This is mostly used for building video apps and hence supports multiple media files inside a video player and has the ability to manipulate all of them. There is a continual development in the Angular JS framework. Currently, there is a new version Angular JS is Angular 6 announced by Google. Likewise, there are a lot of improvements in the frameworks. The fast evolving business environment demands that the investors and managers take a better approach to meet the market needs. Because of the crucial role in linking the business, services, and products to the target market, apps are the ultimate tools to help to succeed in the market. Krify being an ISO Certified company has talented and expertized team for developing the apps and websites on various platform. You come up with your idea, we will implement that to your expectations. Just fill the form we will come back to you.